L-Theanine for Anxiety – Self Medicating Anxiety with Tea? Making the case for a cup of tea...an amino acid in tea may be just what you need to feel less anxious. Whether taken as a supplement or in cups of tea, l-theanine is safe and helps many people reduce stress and anxiety. Research shows that l-theanine induces alert/relaxed thinking states, reduces your fight-or flight response to stressful events and helps protect the mind from stress-linked thinking and memory deficits. L-theanine, or theanine, is a water soluble amino acid that’s found in tea leaves; it’s also available at higher concentrations as a dietary supplement (one dose equaling roughly 10 cups of tea). When you drink tea, l-theanine passes through the blood-brain barrier and affects the brain directly. L-theanine shares a very similar chemical structure to the neurotransmitter glutamate – which is a transmitter involved in learning and memory. How Does It Induce Relaxation? One way it promotes relaxation is by reducing sympathetic nervous system activation in stressful situations. When stressed, your body goes into fight or flight mode – heart rate and blood pressure spike, respiration grows shallower and more rapid, pupils dilate and perspiration increases; your body gets ready to fight a threat or flee the scene! Chronic sympathetic nervous system over-activation is unpleasant (you feel stressed out!) and can lead to serious health problems, like cardiovascular disease or dementia. Theanine has neuroprotective effects – it protects the brain from excess glutamate toxicity. 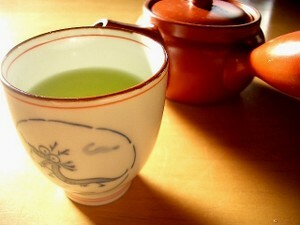 It is an antioxidant and it inhibits lipid peroxidation.3 Both black and green teas have strong antioxidant properties. Side Effects or Long-Term Health Concerns? L-theanine is very well tolerated. People have been drinking green and black tea for a very long time without experiencing health problems. In rare cases, drinking too much tea can lead to digestive upset or nausea. How Much L-Theanine in a Cup of Tea? L-theanine supplements are typically sold as 200 mg doses, so if you drink 8 cups of black tea per day – or many more cups of green tea – you'll get the same quantity of the amino acid as you’d get by taking a supplement. Researchers in Australia compared 200 mg of theanine to 1 mg of Xanax. Subjects were given either theanine, Xanax or a placebo during either a resting task (baseline) or a task that provoked anxiety. L-theanine supplements are typically sold as 200 mg doses – or 8 to 10 times as much as you’d get from a typical cup of brewed black tea. So would you experience any relaxation effect after drinking just a couple of cups of tea? To find out, researchers in the Netherlands took EEG measurements of healthy study subjects from 45 minutes to 105 minutes after ingesting 50 mg of l-theanine (approximately 2 cups worth). They found that even at this moderate dose, compared to subjects given a placebo, those given l-theanine displayed significantly more alpha brain wave activity. Chronic elevated stress can harm your memory. The theanine in tea may protect your brain from this negative consequence. Some very recent animal model research (June 2013) shows that theanine protects the brain against stress-caused memory impairments – probably by defending against the toxic impact of stress hormones. A group of rats were divided into two experimental conditions. One group received three weeks of pre-treatment with theanine and the other group did not. After three weeks, all rats were put under severe stress. Control rats experienced stress-caused visual memory impairments but rats pretreated with theanine did not. Some people experience more significant blood pressure increases during periods of high stress. Researchers in Japan ran an experiment to see what effect theanine had on stress-related blood pressure increases. Study subjects were given a placebo or 200 mg of theanine and then tested on mental and physical performance under different conditions: at rest, under psychological stress and under physiological stress. Compared to placebo, theanine lowered blood pressure increases associated with stress situations. Influence of Green Tea and Its Three Major Components Upon Low-Density Lipoprotein Oxidation. Ibogaine addiction treatment - can a single session really cure opioid addiction (no withdrawal symptoms or drug cravings)? Learn more about the risks and benefits here.